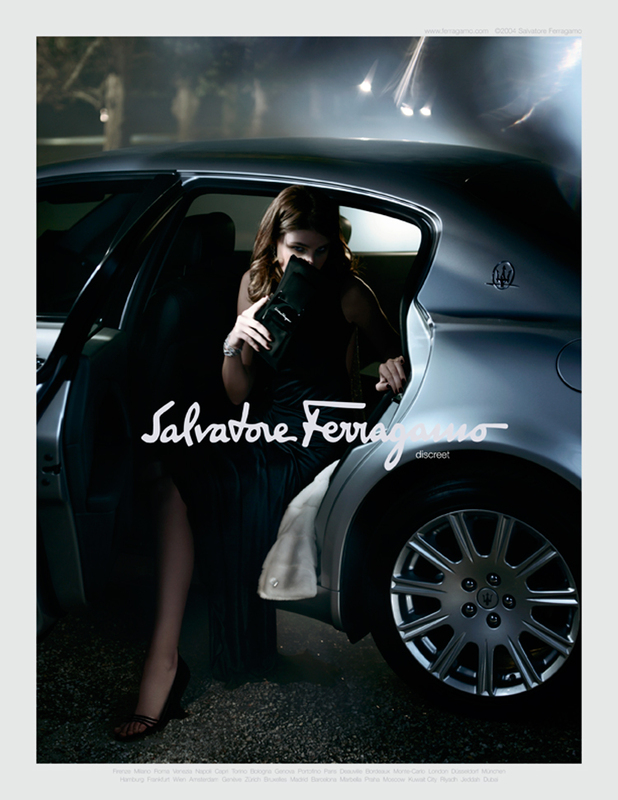 art direction : ceft and company new york for ferragamo. above are two of approximately ten executions created for salvatore ferragamo’s global campaign. the campaign was art directed by ceft and company’s creative director ucef hanjani and shot by film buff and filmmaker/photographer glen luchford. the château-de-voisins just outside paris was chosen as the perfect location because of its majestic interior details, which in turn, are discretely revealed as they should be in true luxury. 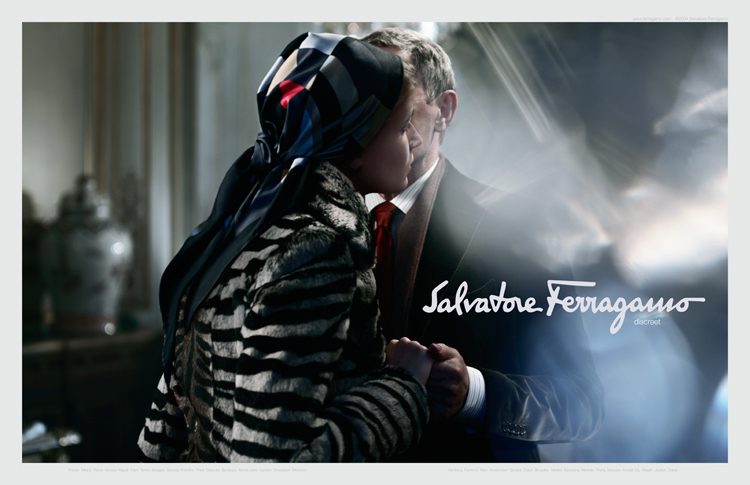 the campaign premise was based on the dna and history of the salvatore ferragamo brand and its love affair with cinema. each image was crafted after an iconic and critical film. additionally, to separate ferragamo from its italian counterparts such as gucci and dolce & gabbana, we created a thread and element that carried throughout the entire campaign: the protagonist turning away from the camera. this notion came from weeks of excavation through the ferragamo archives and finding that the family logo was respected and never plastered, as the case was with other brands with recent backlash. the historic attraction to the brand came from craftsmanship and quality rather than flash of logos. in a word, ferragamo, unlike dior and gucci had remained much more “discrete”. to illustrate, if the gucci woman would jump at the chance to be in a paparazzi picture, the ferragamo woman, who may quite as well run the publishing house, would shy away from it. she is not desperate and naïve for attention, but is rather more surreptitious in her choices. this notion promised to be a potential tool from PR to future fragrances. view all work related to this project.